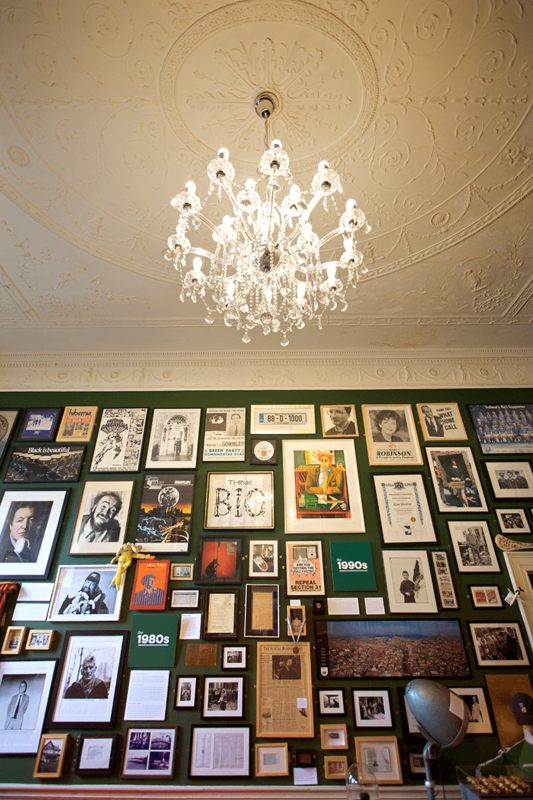 The Little Museum of Dublin is a museum chronicling remarkable changes to the lifestyles of Dubliners over the last century. Our client was looking for a feature light for one of their historical bric a brac rooms. The Little Museum wanted the display lighting that would enhance their Georgian style ‘Treasury’ room and its double-height ceiling. The stunning crystal ‘Florian’ chandelier was recommended by our one of knowledgeable sales consultants. The Florian 18 light chandelier has a metal frame with decorative glass elements, composed of cut crystal octagons and crystal droplets. This product is available is clear glass with gold or silver metal and black glass with chrome metal.